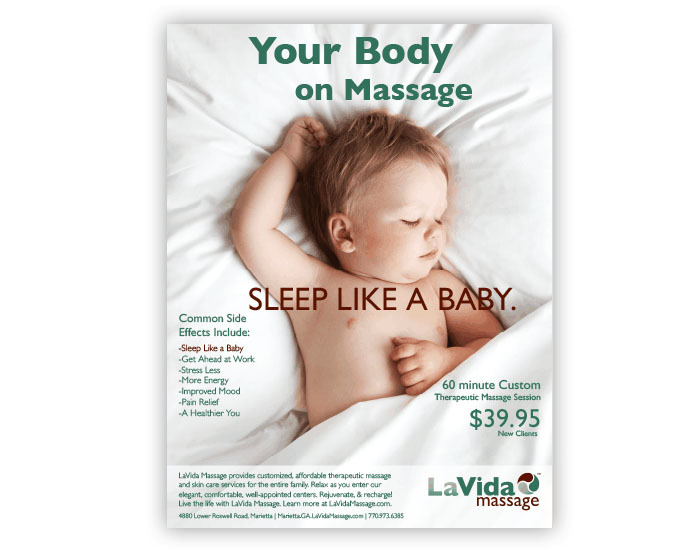 In addition, we create and develop graphics for print ads, e-blasts, all social content creation + scheduling, all copy + content for the new website and subdomains, and even LaVida Massage’s promotional calendar, coordination of media buying and new outreach tactics for the brand! 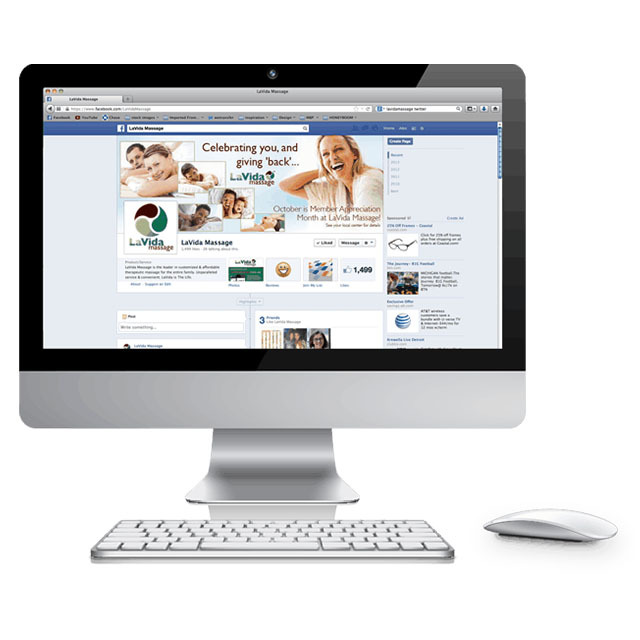 All of that content is subsequently customized on a “per Center” basis and shared across the entire LaVida Network. 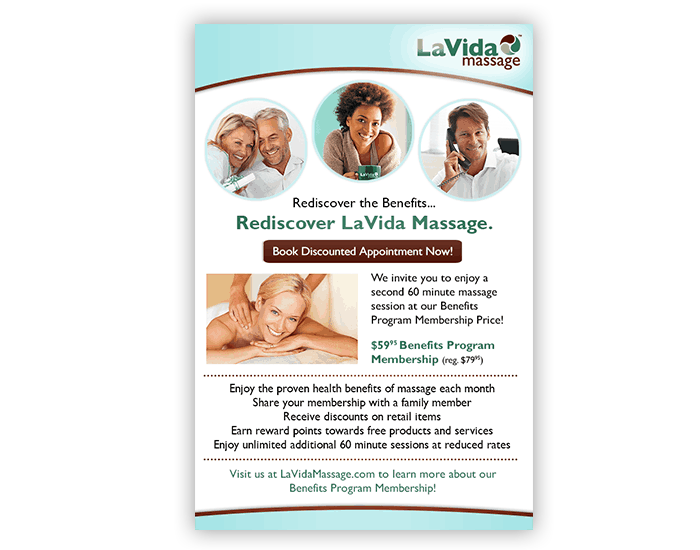 Our strategy is simple – make the strongest case for “Why LaVida Massage?” on every front—and the proof is in the continuous results! You see LaVida all over the media with great press placements. 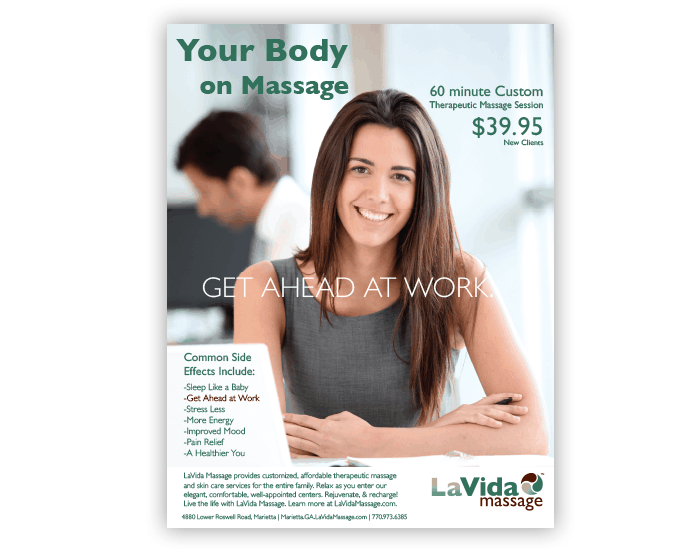 As a result of our ongoing success, LaVida Massage Corporation’s aggressive growth trajectory opens a new Franchise location across the US and Canada on average of every thirty days! It is timely, fresh and uniquely accessible to everyone. 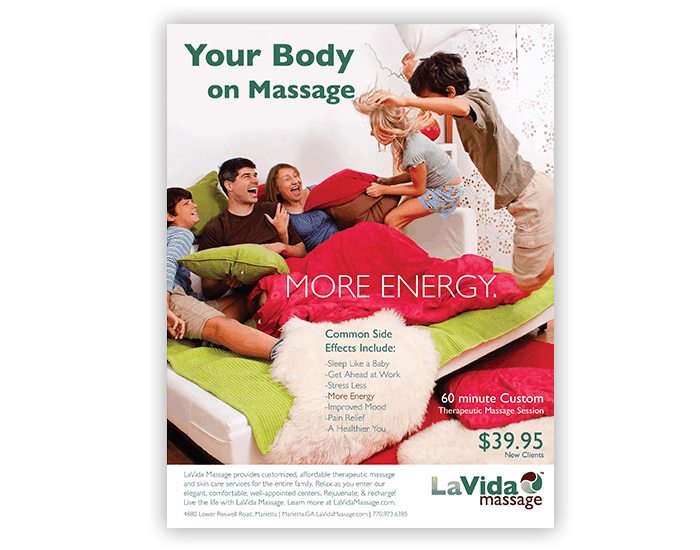 Prospective franchisees are positively struck and influenced by all of it – the consistency of our materials makes the brand both appealing, unique and thus very memorable – and that helps support a strong case for investing in a LaVida Massage franchise as well as becoming a recipient of therapeutic massage at a nearby Center!